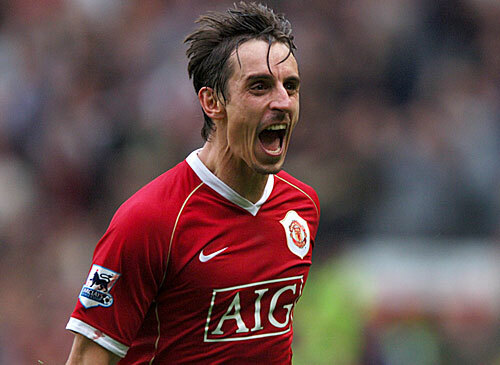 Gary Neville is a defender for England and Manchester United in the English Premier League. He can play in the centre of defence, where his experience helps him to read the game, but he is at his best when he plays at right-back, with some licence to roam up the wings. He is one of England’s most-capped players, although injuries kept him out of the first team for over two years in 2007. 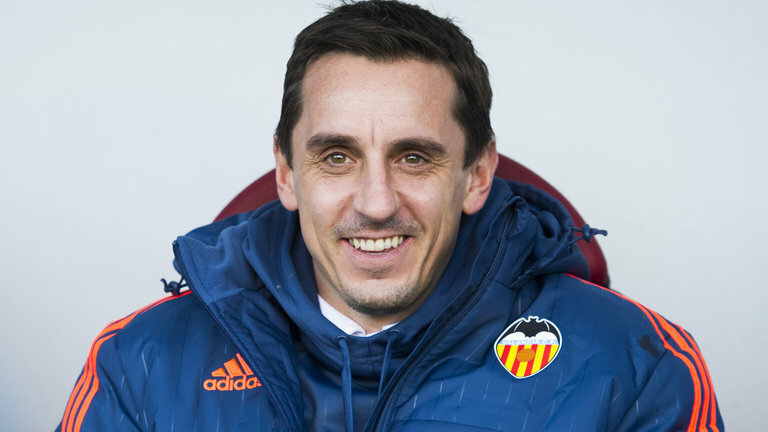 Gary Neville made his debut for Manchester United in September 1992, in the UEFA Cup, but it was another two years before he had established himself as the first-team right-back. It was in 1995, at just 20 years old, that Gary Neville proved Alan Hansen wrong (“you cannot win anything with kids”) as United won the Premier League. Gary has had a sensational Manchester United career, winning all sorts of trophies, including the Champions League – the most prestigious club championship in the world – twice. Eight Premier League titles and three FA Cups are testament to his ability. As a youngster he could be seen bombing it up the wing past David Beckham to get crosses in, and though he now tends to hang back a bit more (allowing Patrice to dominate the left hand flank instead), he still has the speed and crossing ability to get it in the box when necessary. After a season out through injury, Gary faces the uncertain battle of winning a place in the first team from Wes Brown and young Brazilian Rafael.